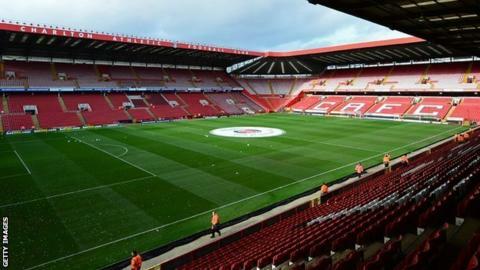 Saturday's game between Charlton Athletic and Barnsley has been called off because of a waterlogged pitch. The Championship tie at The Valley was postponed after a 13:00 GMT inspection when referee Iain Williamson ruled that it would be unsafe to go ahead. The date for the rescheduled match has not been confirmed. It comes a week after That game is now scheduled for Tuesday, 14 January. Barnsley are bottom of the table, seven points behind 19th-placed Charlton.